Paul Duke quietly waits for a national network interview on ABC to begin. This is just a sample of the newspaper and magazine articles that have featured W. C. Duke and Opening Doors®. 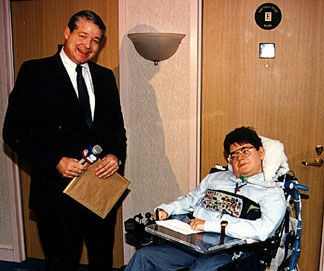 Paul Duke becomes the only person with a disability to have a suite named in his honor. It is located at the Embassy Suites Hotel in Lake Buena Vista, FL. 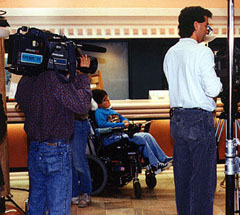 This event had national coverage by all three networks.